If you’ve got a lot trailers in Houston and need some in a different hub, why return empty? Or worse, why wait for a partial TL or full TL? Every minute your trailers wait in dock, well that’s money lost. 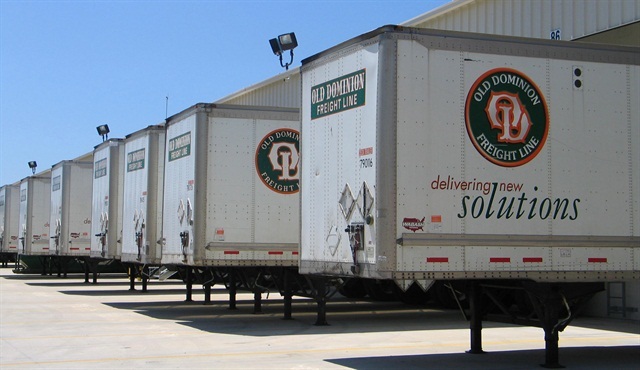 Offer volume LTL and leverage the demand for freight going to where you need trucks. A lot of businesses have less than a full TL, and may not want the hassle of getting a partial TL (it’s true, LTL is easy to book). So offer the volume LTL and you’ll have businesses paying you to move your trailers to the cities you need them in anyway. It’s a win-win. The more services you offer, the more opportunities for revenue. And asset based carriers can get their share of the huge LTL market. The demand for larger shipments which do not meet TL, or partial TL requirements, continues to grow. Volume LTL creates another revenue stream for a carrier. Plus this type of freight ships the same day. This keeps trucks on the road, which means the cash keeps flowing. LTL carriers will send a truck to pickup a single pallet, not because they want to, but because they have to – it’s part of their business. Fortunately, with volume LTL, the pickup is larger, at least 20% of the trailer. So every stop fills a sizeable section of the trailer, meaning there’s more money per stop. Many customers book their LTL and volume LTL freight online. It’s as simple as Click-Book-Ship. While common carriers may have sites designed to accommodate this, many asset based carriers choose to partner with a third party logistics firm to coordinate and book their volume LTL. This takes the burden off of staff from learning how to book a new shipment type, or pricing out these smaller loads. In fact, for most asset based carriers working with a 3PL firm, the business comes knocking on the door. 3PLs familiar with volume LTL often offer a turn-key program for adding volume LTL as a service offering. Maybe this should be reason number one, after all the customers always come first. For many customers, volume LTL is the way to go. As more and more businesses discover the flexibility, cost savings, and other benefits (see 5 Reasons Customers Choose Volume LTL), the carriers who offer this shipping option will cash in.